Electrical and electronic engineers do so much more than keep the lights on! From smart devices to medical imagery and defence technologies, electrical and electronic engineering contributes to every aspect of modern life. 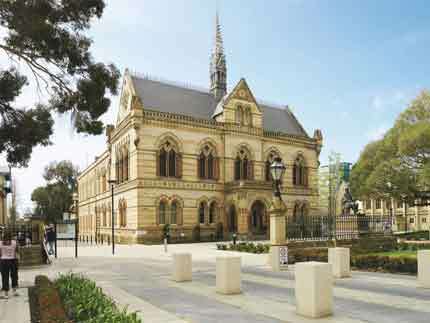 The University of Adelaide is ranked 36 in the world for electrical and electronic engineering*. We set you up for a range of global career options in a field that’s leading technological change. complete an eight-week practical experience. As an accredited engineer, you could work in artificial intelligence, industrial automation, e-commerce or cybersecurity. You might manage multimillion-dollar energy projects. Perhaps you’ll help design the first purely electric aircrafts. Intake February and July. Students commencing in July may have a slightly limited selection of courses. February and July. Students commencing in July may have a slightly limited selection of courses. Now and into the future, Australia and the world will need electrical and electronic engineers to work in mining and power distribution, infrastructure, e-commerce, and to develop technologies for advanced manufacturing. The Bachelor of Engineering (Honours) (Electrical and Electronic) provides students with the technical knowledge and skills for careers across a range of specialist areas including power distribution, computing, medical technology, defence, and communications systems. The program is highly regarded by employers. Our graduates have secured roles with leading technology companies worldwide—including Google—and with companies across the defence, energy and electronics sectors. Students are required to complete eight weeks of approved practical experience. 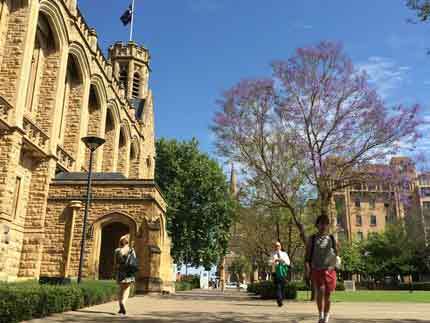 It is recommended that students in this program study overseas during levels 2 and 3. Both semester and year-long exchange is possible. To discuss your options further, please contact the Faculty of Engineering, Computer and Mathematical Sciences. The first two years of this program are common across the majors and establish a deeper understanding of mathematics, physics and computer programming. They also cover the basic principles of themes that will be developed throughout the program; digital and embedded systems, electronic circuits and signals, electrical systems, and professional practice and systems engineering. This common foundation means that all graduates have the opportunity to work in many specialist areas, and are prepared with lifelong learning skills so that they are able to change specialisations over the course of their careers. At the end of the second year, students have the opportunity to select a major from a wide range of topics. Each major has specified core courses and a pool of relevant elective courses. All students undertake advanced professional practice and systems engineering subjects. The final year includes a capstone research project, relevant to the student’s major, which further develops research, technical and professional skills. A major is a great way to specialise and pursue topics of interest without narrowing future career options. All graduates of this degree—irrespective of their major—qualify as electrical and electronic engineers, and can pursue careers across computer architecture, computer networks and digital microelectronics. Communication systems engineers design and manage complex hardware and software, such as mobile, Internet and broadcast networks. In this major, students develop skills to work in industries including defence, mobile phone networks, satellite communications, and infrastructure systems. The Computer Engineering major focuses on the design, development and use of computers to control devices, equipment and processes, including robots, automated infrastructure, and autonomous devices. Graduates can secure jobs in fields such as industrial automation, logistics, and e-commerce. Cybersecurity is a high-growth industry. As more devices and systems are connecting to the Internet—creating the Internet of Things —employers are increasingly seeking graduates who can develop secure and robust systems. In this major, students learn from industry experts and can undertake international study opportunities, such as a cybersecurity tour of Estonia. South Australia is Australia’s defence state and home to many important defence investments and industries, including shipbuilding and the over-the-horizon radar project. Electrical and electronic engineers are critical to the future of Australia’s defence capabilities, and this major is ideal for launching a career in the field. The Medical Technologies major offers a broad choice of study across physiology and the health sciences. It covers the use of electronic sensors and information processing in medical research, diagnosis and treatment. 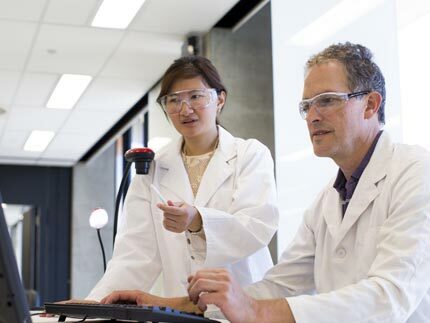 Students learn from experts in the field, work on practical projects, and use technologies such as implantable devices, medical instrumentation, and medical imaging. The Renewable Energy major exposes students to a broad range of engineering and regulatory topics, and prepares them for careers in a rapidly changing industry. Students develop the skills and knowledge required to work with current and future energy infrastructure. Courses cover electric power systems and renewable energy technologies. The cross-disciplinary Smart Technologies major prepares students for careers in the fascinating field of artificial intelligence, and provides a broader perspective than direct artificial intelligence or electronics majors. Courses cover physical electronic devices and virtual sensor signal analysis, algorithms, and artificial intelligence systems. Completion of a minor introduces students to an aligned field in which their technical knowledge can be applied, and enables them to explore career opportunities in the area. 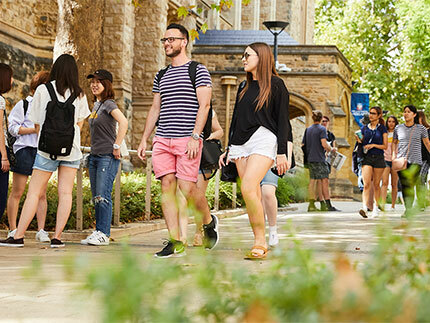 Take the technical knowledge from the degree and create ventures in areas from large corporations, to small businesses, the not-for-profit sector, and community organisations through an Entrepreneurship minor. All technology advances in the past decade were once an idea that is now a reality through entrepreneurs. Students learn the processes, risks, rewards, motivations and societal impacts of innovation and entrepreneurship within regional, national and global perspectives. Learn how to work in emergency and humanitarian fields while having a positive global impact on developing populations through the Humanitarian Engineering minor. Students conduct design work with a focus on culture, economic background, and political climate, while developing a strong awareness of communities and the people who reside in them. Graduates are equipped to solve problems in complex environments, allowing them to make real-world change. Assessment can vary from course to course and can include a combination of class work, tutorials, assignments, laboratory work, quizzes, project work and exams.